Based in Southern California, Sarah is an Instagram influencer who posts gorgeous shots of her amazing family home. With soft touches of color like pinks, blues, and greens, her home is a beautifully styled and decorated. You can check out her lovely Instagram feed of her home here. 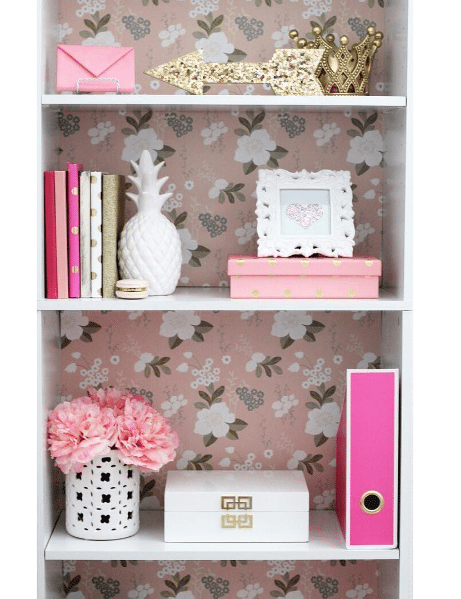 Recently, Sarah undertook a mini makeover on her bookshelf with the lovely “Flower Garden (Peachy)” wallpaper by designer Love Mae. This floral wallpaper is perfect for adding some soft color and interest to a bland interior. 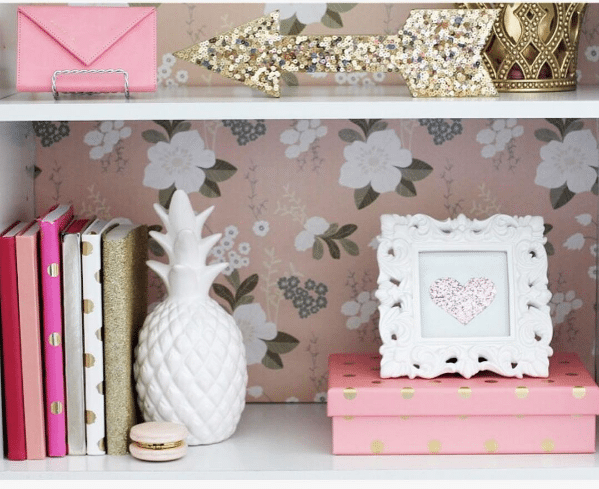 We love that she used the wallpaper in a unique and fun way. Check out the final transformation below! 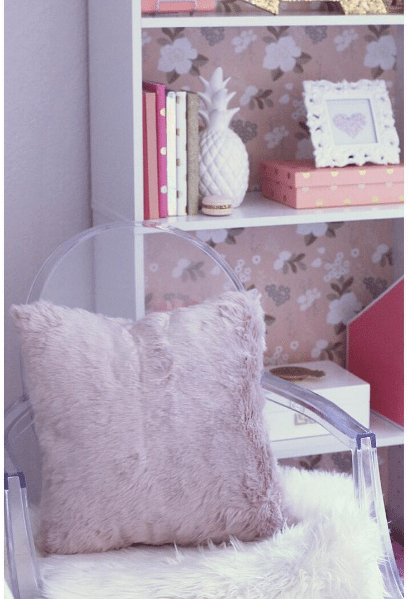 We love the cute vibe it brings into the room! If you want some more inspiration for other ways you can use wallpaper in you home, here are 16 more ways!